BlackBerry developer company, Research In Motion (RIM) has purchased a video editing JayCut from the Swedish company and will work on features for tablet Playbook. "Working closely with JayCut aims to add video editing capabilities for the BlackBerry platform, we can further enrich the multimedia experience of our customers with the BlackBerry," said David Yach Chief Technology RIM, as reported by Reuters on Saturday (07/23/2011). JayCut joined the design company The Astonishing Tribe in Stockholm who had previously acquired RIM in order to improve the user interface. 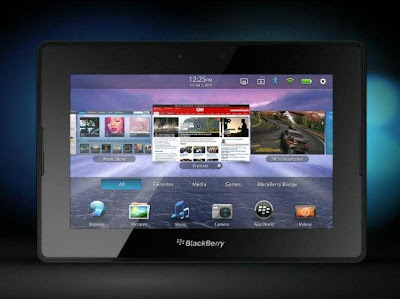 In a blog posting, Yach announced the purchase and indicates that the Playbook, ready to compete with Apple's iPad. Equipped with dual cameras with high resolution, the playback quality is also high and can send images to a television screen via the regular cable. RIM has acquired a number of companies to meet certain requirements in recent years. Among QNX Software, which provides the Playbook operating system, and the Torch Mobile, which allows the company to upgrade its Web browser. This is all an attempt to compete with RIM's rivals, especially Apple. It would be a great pleasure to blackberry users for having such astonishing video editing effects.. Thank you for your nice article on /jaycut-video-editing-for-playbook. I like it. Thank you for your nice article on jaycut-video-editing-for-playbook. I like it. Hello there, just became aware of your blog through Google, and found that it is truly informative. I’ll be grateful if you continue this in future. Numerous people will be benefited from your writing. Cheers!